As a parent, you are looking for answers to questions and what to do first or where to go next. St. Joseph Institute for the Deaf has worked with families who have had these same questions for 180 years. Through a powerful combination of on-site Audiological services and Listening and Spoken Language therapy, infants and their families are provided the tools they need to help their child achieve to their fullest potential. 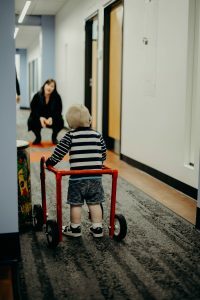 Our therapists are Listening and Spoken Language (LSL) specialists and are certified providers for Missouri, Illinois and Indiana to provide services through their state approved Part C programs. Services are family-centered and provided in the setting of the families’ choice including center-based services. For some families, this is their living room, for others their day care center, and for some both. We’ll help you understand your child’s diagnosis, recommended amplification and address other challenges facing you as parents. 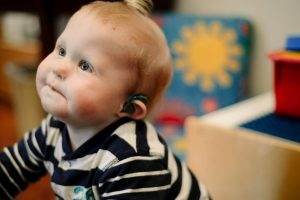 Under the therapists’ direction, you’ll learn techniques and skills to help your baby learn to listen and begin to build speech that will develop into language. We can help you walk this journey. 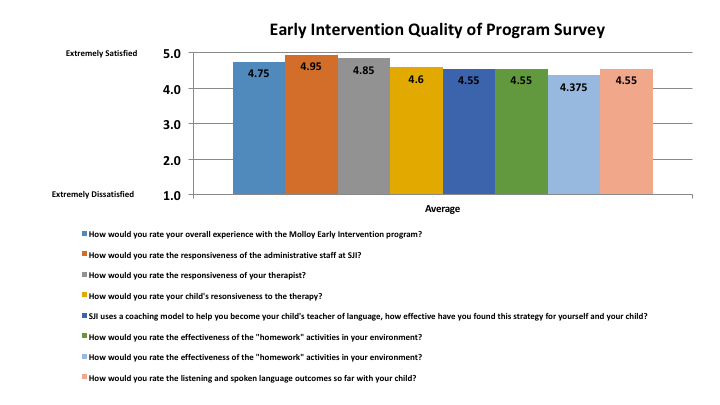 Data was collected from children ages 0-3yrs in the areas of listening and spoken language progress over a 12 month period. Children and their families were assessed using protocols designed for young children with hearing loss to measure both expressive and receptive language. 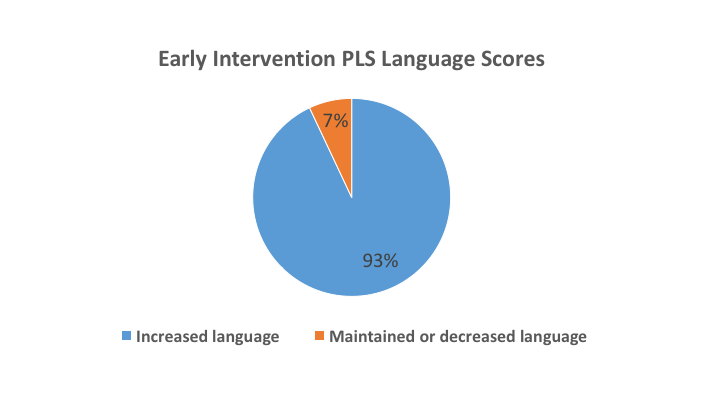 Results indicate that 93% of young children with deafness who received consistent listening and language therapy improved their auditory and language skills. Contact us today to see how we can help you and your baby!